From Fast Company writer Charles Montgomery: "Rob McDowell lived in a hip, luxury condo with a sweeping view of Vancouver, but he was miserable. He could look over the other towers to the forested slopes of the North Shore Mountains. "Whenever McDowell left his apartment, he would follow a hallway he shared with twenty people to an elevator he shared with nearly three hundred people. Standing a foot or two apart, well within the zone of personal space and unable to control the duration of the encounter, McDowell and his neighbors would studiously avoid eye contact. "The city had forced the 501’s developer to build a row of town houses along the podium base of McDowell’s tower. The townhouses were a bit cramped, but their main doors all faced a garden and a volleyball court on the building’s third-story rooftop. McDowell noticed that the town house residents regularly played volleyball in the garden. He and his tower-living neighbors had every right to join in, but they never did. "After some friends moved into the town houses, McDowell gave up his view and bought a unit next to them. Within weeks his social landscape was transformed. He got to know all his new neighbors. He joined in the weekend cocktail and volleyball sessions in the shared garden." "McDowell’s new neighbors were not inherently more likable or friendly than his tower neighbors. So what had drawn them together? The front doors of the town houses all led to semiprivate porches overlooking the podium garden. They provided regular opportunities for brief, easy contact. These porches were a soft zone, where you could hang out or retreat as you wished. Without realizing it, McDowell and his neighbors were testing out a law of social geometry identified by Danish urbanist Jan Gehl. In studying the way people in Denmark and Canada behave in their front yards, Gehl found that residents chat the most with passersby when yards are shallow enough to allow for conversation, but deep enough to allow for retreat. The perfect yard for conviviality? Exactly 10.6 feet deep." Full article here. From NYTimes writer Constance Rosenblum: "The New York townhouse has been through a lot since it began appearing in profusion in the 19th century. "These stately buildings started life as single-family houses sheltering comfortable middle- and upper-class families and their servants. By the Great Depression, most had been chopped into single-room apartments, the unlucky among them getting the greatest wear, as rooming houses for the down and out. "In the ‘60s, plucky young New Yorkers with more enthusiasm than cash began buying these down-at-the-heels beauties and spiffing them up for their families, usually retaining tenants who provided rental income and in many cases were impossible to dislodge. "In the past few years, the historic townhouse has started to come full circle. Thanks to the growing appetite for larger and more luxurious private urban dwellings among people happy to pay upward of $10 million, many townhouses have been returned to the elegant single-family homes they once were. "'These houses have always been commodities — they were built, after all, by real estate developers', said Patrick Ciccone, a preservationist who is preparing a revised edition of 'Bricks and Brownstone', Charles Lockwood’s landmark 1972 study of the New York townhouse. "Dexter Guerrieri, the president of Vandenberg, the Townhouse Experts, and other townhouse watchers attribute the shift in part to a desire for bigger and more opulent homes that provide a degree of privacy unavailable in condominiums and especially co-ops. These homes also often offer other benefits: Residents can have a garden; they can own a dog without asking anyone’s permission. Many of these houses are in picturesque neighborhoods with an embracing sense of community. "Because supply is limited — estimates suggest that fewer than 10,000 pre-World War I townhouses survive in Manhattan, with perhaps 50,000 citywide, mostly in Brooklyn — operating in this market can be highly profitable. "For couples like Doug Derryberry and Serena Mulhern, whose home must double as a work space, the benefits of a spacious and flexible townhouse are considerable. When Mr. Derryberry maintained a studio elsewhere, the shuttling from place to place, often with quantities of unwieldy equipment, made a hectic schedule even more demanding. "Critics bemoan the reduced street traffic and less lively street life — fewer delis and dry cleaners — that come with lower density. Critics of the shift also cite the gradual disappearance of the townhouse rental apartment, leading to a small but palpable depletion of the city’s housing stock." Full article here. From Rochester Subway writer Irene Allen: "I was thinking about our collective reactions to the proposed D&C building, and the completed Windstream building. Clearly both buildings are more modest than what many of us hoped to see in this key downtown site (and what the zoning code spells out for downtown). It’s an issue that I think applies to all infill development downtown, and the ideas behind Incremental Urbanism shed some interesting light on it. "If we look at old photos of Rochester in the early-mid 1900s, we see a mature streetscape, quality materials and design, with many buildings at least 5 stories tall. And of course we want to get back to that. But we have to consider that the streets and lots of downtown actually got laid out in the early-mid 1800s, it took a hundred years of incremental development to get from empty lots to those 'downtown-worthy' buildings we see in old photos. "Well, now we are starting over with empty lots [and small parking lots] in much of downtown. Is it realistic to expect these to go from empty lot to 5-story 'downtown-worthy building' in one iteration? Maybe we need to accept that, for many of these infill lots, that isn’t what any developer can justify building. Maybe we need to embrace Incremental Urbanism and its inherent messiness and look at proposals as 'does it move us in the right direction' rather than 'is it the desired end-state'. "By the way, I am NOT advocating building throwaway crap that we’ll tear down in 20 years. But perhaps accepting more modest infill is ok, as long as it moves us toward walkable mixed use." Original post here. From Thisispaper Magazine via urbanist, ceramic artist, and loyal reader Natalie Weinberger: "This amazing vertical building is a beautiful house designed by architects studio Sanuki + Nishizawa architects. Typical for Vietnamese cities urban tube house is located in Ho Chi Minh City, on a very narrow and long plot. Problems with such houses are always ventilation and getting natural light. This new, contemporary take on such common version of a living space resulted in a stunning interior full of air and beautiful textures." From the architects: "All of design intents are to fulfill the tube house spaces with greenery, brightness, well-ventilations then transform the narrow, dark, humid passive residential housing. We can feel the natural wind and live without air conditioner comfortably in this house that has the lifestyle connecting to the outside natural environment. This sustainable and ecological proposal is a re-definition of the Vietnamese traditional lifestyle connecting to the outside environment in the contemporary housing." Full post with many photos here. From Strong Towns: "The most brilliant innovations in building cities won't come from the current generation of politicians, professionals, and advocates. That brilliance is already embodied in the traditional development pattern, a fool-proof approach to building places that was developed the hard way: slowly and incrementally over time. "For millennia, around the world, in different cultures and different climates, we built places scaled to people. It has only been in the last 60+ years that we in North America stopped walking and started driving. For thousands of years prior, we walked everywhere, and so our places were built around people who walked. While there are many variations on the theme, the scale and proportions of these places are very similar. "The knowledge for how to build this way -- those fundamental underpinnings of scale and proportion -- does not come from a theory or a brilliant individual but from a experiments that occurred over and over again for thousands of years. In other words, people tried different things, and the places that endured long enough to be copied were the ultimate strong towns. They were resilient politically, socially, culturally, and financially. "The financial strength of the traditional development pattern is still visible today because the remnants of places built in that style still exist. Joe Minicozzi, one of today's most brilliant communicators, has taken data from all over the country and created amazing maps that show the financial productivity of different development patterns. He and I did some work in North Carolina earlier this year where he presented this map of High Point. 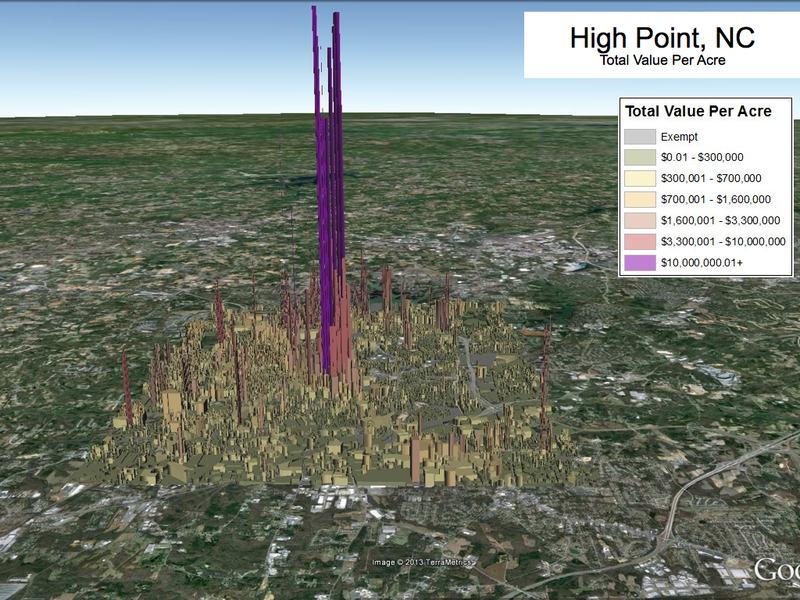 The map shows financial productivity -- total value per acre -- of each parcel in the city. "You'll never guess where the traditional downtown is at. (Hint: the purple in the middle.) The thing that is most stunning is how dramatically more productive that traditional development pattern is. It is not just marginally more productive, it is many, many multiples more valuable. 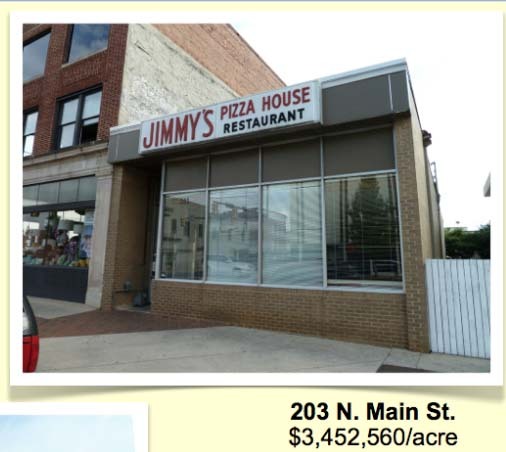 "Here's one of those high-yielding properties in the traditional development pattern: Jimmy's pizza [photo above]. Jimmy's pizza is likely nobody's idea of success and probably is never held up as a model for High Point (until Joe came to town, that is), yet the numbers don't lie. It is vastly more productive than the K-Mart or the Wal-Mart. "Jimmy's pizza represents the base unit of development in the traditional development pattern. It is the cheap little box that was the first increment of investment for cities everywhere. It is so simple to build that you literally can't mess it up. And look at how productive it is. The traditional approach is, in a sense, fool proof. "There are thousands of ways to improve Jimmy's pizza (few that require more than a moderate level of competence). If Jimmy's pizza fails, well....that building can be transformed into about anything. Give it some time and a surrounding neighborhood full of people on foot and that invisible hand will figure it out (if our antiquated zoning codes don't prevent it)." Full post here. From Better! Cities & Towns writer Dan Zack: "For the past 70 years or so, much of what we have built in the US has been of the large, 'master planned' variety of development. When New Urbanism rose onto the scene, many of its early and iconic projects, such as Seaside and the Kentlands, were also large, master-planned developments. "This feels normal to our generation, but historically this is an anomaly. Prior to World War II, and going back for millennia, most development was not of the large-scale, master-planned variety. Rather, most cities and neighborhoods were built lot-by-lot, by dozens or hundreds of land owners and developers. I refer to this kind of development as Incremental Urbanism. "After 70 years, we've gotten used to the tidiness of master-planned development. 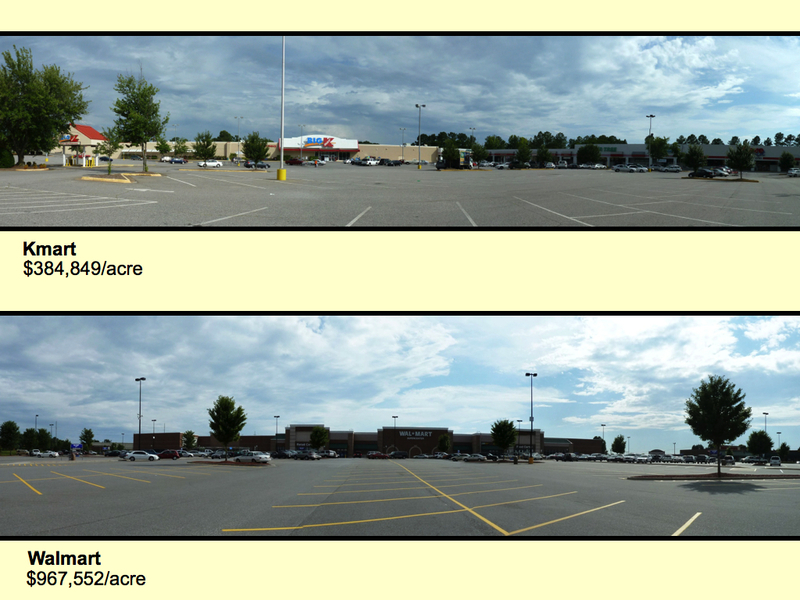 In comparison, lot-by-lot development can look messy. Sometimes, buildings of dramatically different heights sprout up right next to each other. Other times, materials or styles are different. In some instances, new buildings snake around the buildings of owners who wouldn't sell out, creating strange shaped sites. "We need to overcome these hangups, though. To satisfy unmet consumer preferences, improve our economy, reduce housing shortages, and reduce environmental damage we need the majority of our growth to happen in areas with a lot of jobs, services, walkability, and transit. Most of these areas are older areas with a small lot pattern. If we don't allow development until a whole block is assembled so that it is tidy, we're not going to get much development." Full post here. 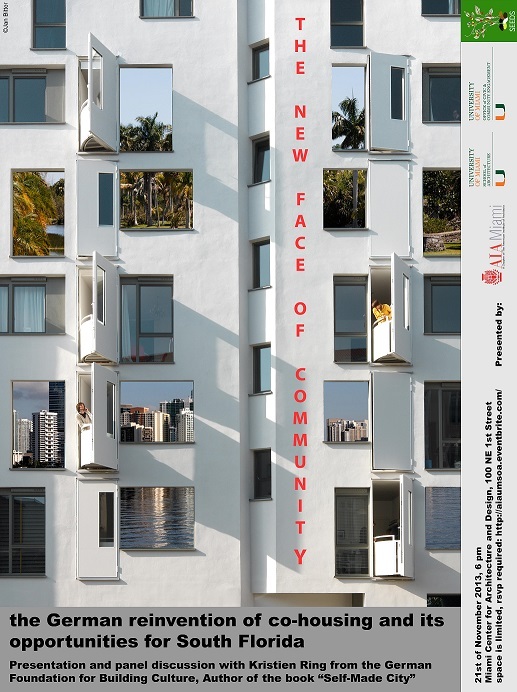 From University of Miami School of Architecture: a free lecture titled "The New Face of Community: The German Re-Invention of Co-Housing & Its Opportunities for South Florida" by Kristien Ring of the German Foundation for Building Culture and author of Self Made City, on Thu, Nov 21 from 6 to 8 PM at 111 SW 5 Ave in Little Havana. 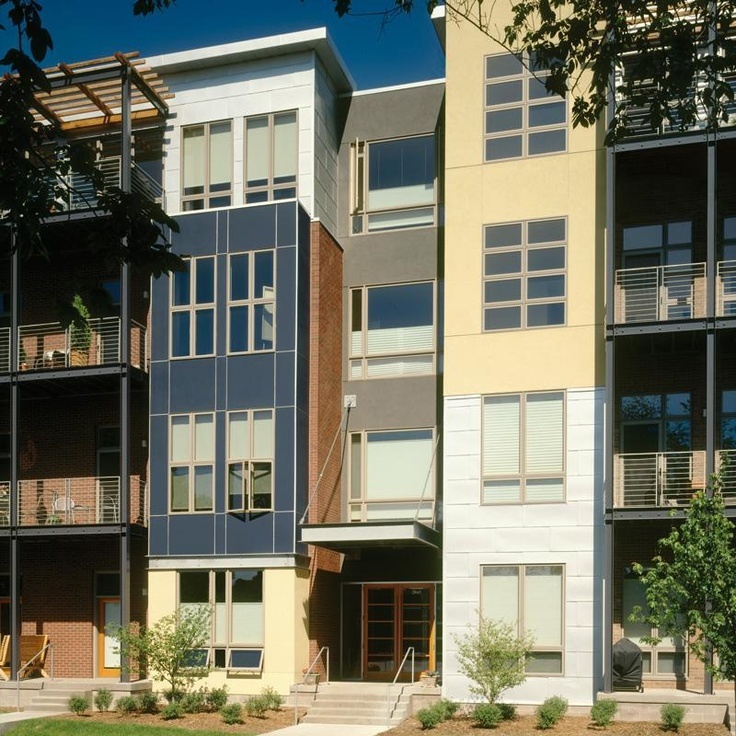 "Co-housing" means apartment buildings developed by their future residents, i.e. 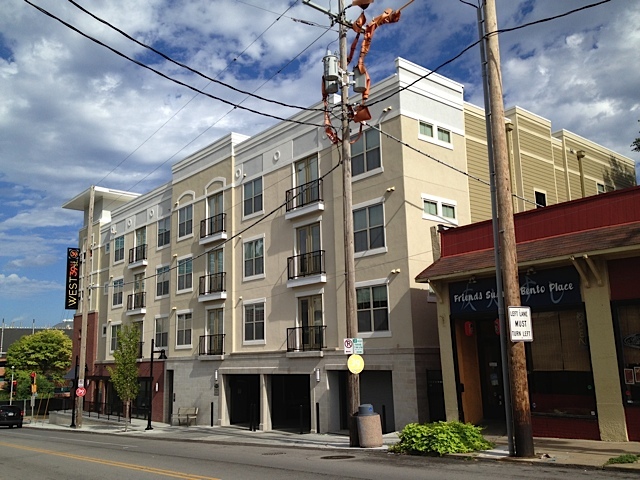 how to cut out developer fees and reduce costs, making smaller urban projects more feasible. The time is right for this in Miami. Please register in advance here. From the University of Miami Master of Real Estate Development & Urbanism, a free lecture titled "Urban Infill Development: Lessons from Three Decades of Creating Value for Neighborhoods, for Communities and for Profit" by Michael Lander, founder and president of Lander Group Urban Development, a Minneapolis real estate development firm specializing in urban infill projects. The lecture is on Wed, Nov 13 at 6 PM at the University of Miami School of Architecture in Glasgow Hall ["the Octagon"]. Free and open to the public. 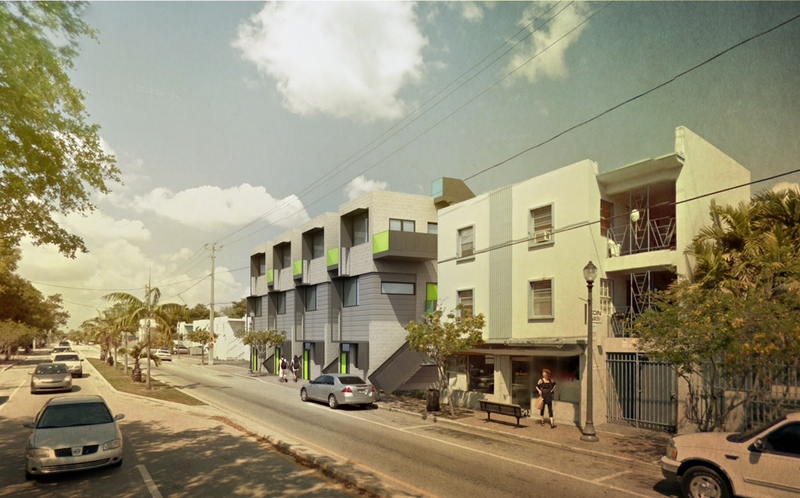 You are invited to a presentation of free plans for a Miami building prototype on Tue, Nov 19 from 6 to 8 PM at Mansini's Pizza House in Little Havana. The goal is to help small property owners and builders imagine how they can profit from a small site. The plans are by award-winning architecture firm ISA (in collaboration with Townhouse Center and supported by the Knight Foundation) and will be presented by ISA founder Brian Phillips. The brief presentation will be followed by a panel -- featuring Fernando Arencibia of RE/MAX, Jeanette Blanch of Continental Bank, Hernando Carrillo of HacArchitects, and Gavin McKenzie of McKenzie Construction -- and audience Q&A to discuss the plans and opportunities and challenges of small projects. The plans can be downloaded here. The free event is open to the public, especially non-developers, but please register in advance by email to LHMAmiami@gmail.com. This event is presented with the Little Havana Merchant Alliance and outreach partners APA, Emerge Miami, MBCDC, Miami Urbanist, SFCDC, TrAC, and Transit Miami. Please register and spread the word! Come to this exhibit opening and tell your friends! From the Bas Fisher Invitational artist-run space in downtown Miami: "BFI #BuildingsForInfill presents URBAN_VARIANTS, Nov 1 to 24. BFI invites you to the opening night of URBAN_VARIANTS, an exhibit of new designs for Miami urban buildings, on Friday, Nov 1 from 6 to 9 PM. The works will include new building prototype sketches, drawings, renderings, and models, as well as studies of existing building types in Miami and Savannah. 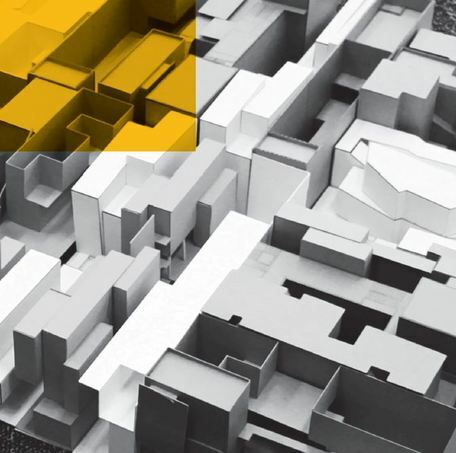 The exhibit is the result of a studio course at FIU Architecture led by professor Jason Chandler in collaboration with Townhouse Center, a not-for-profit that promotes urban neighborhood development, and sponsored by the Knight Foundation. "This past semester, students visited and documented existing small buildings in downtown Miami and Savannah, Georgia. 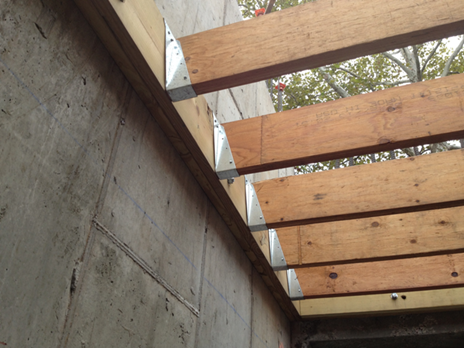 During the visits, students experienced how small-scale infill buildings create resilient urban environments. The Savannah visit took students far out of the studio, to places and buildings most had never seen before. Then each student designed a new, small, adaptable prototype for Miami, resulting in over 100 designs, which have been curated for the BFI exhibit. "The course, exhibit, and bus tour are all part of a larger collaboration to raise awareness of the fact that Miami has built to the sky and horizon -- towers and subdivisions -- but lacks neighborhoods of a middle scale. In other cities such urban neighborhoods are often the most vibrant, like Boston's North End or New York's West Village. To help Miami start developing these neighborhoods, FIU Architecture offered a studio course about the urban neighborhood fundamental building block: small, adaptable buildings. "The exhibit will run until Nov 24, and be complemented by BFI's periodical WEIRD MIAMI bus tour, which on Nov 10 will visit exemplary (but often overlooked) Miami urban neighborhoods, led by Chandler and Townhouse Center executive director Andrew Frey." Buy bus tour tickets here. Miami small urban buildings: free plans for new building protoype, so download and build! [Re-blogged from Knight Blog] Brian Phillips, a licensed architect and a lecturer at PennDesign in Philadelphia, writes about a Miami urban prototype building that his firm, Interface Studio Architects, designed in collaboration with Townhouse Center. Knight Foundation supports the project. As part of an ongoing initiative to help Miami build vibrant, middle-scale urban neighborhoods, Knight Foundation sponsored my architecture firm, ISA, to design a Miami prototype building and make the plans downloadable for free. Just before the real estate bubble burst in 2008, we designed and built a project in Philadelphia called 100K House, a two-story town house prototype that costs only $100,000 to build and is certified LEED Platinum by the U.S. Green Building Council. We used standard parts and local labor to create a small prototype that reflects a contemporary sensibility about urban living. We brought that philosophy and know-how to designing a new prototype called Hi-Res Miami for the context and parameters of Miami: the geography, climate, regulations, materials, labor and market expectations. We collaborated with Townhouse Center to understand those needs and to organize several workshops with local stakeholders to critique the prototype design. The result is a three-story prototype with exterior stairs that allows varying partitions and uses of the interior space. 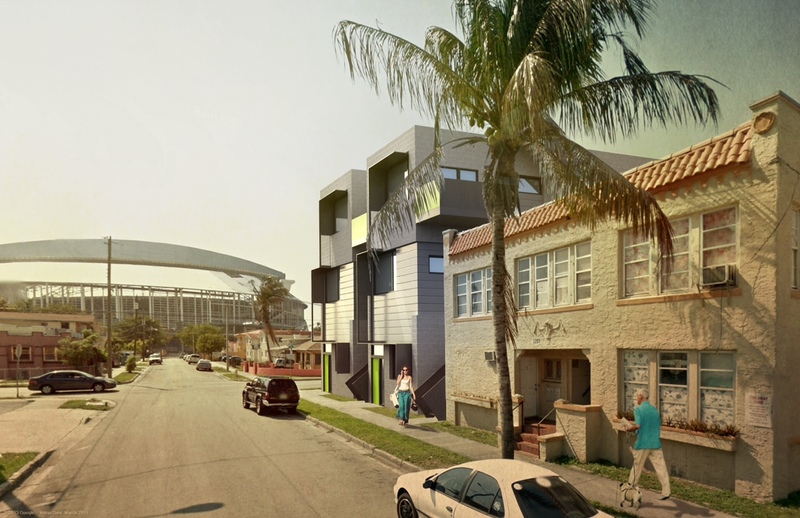 A typical Miami lot that is 50 feet wide can accommodate two of the prototypes side-by-side, a density that promotes the mixed-use, walkable neighborhoods that Miami lacks. Hi-Res Miami plans can be downloaded for free at Hi-Res website to encourage local developers to unlock the value of smaller parcels and to develop in smaller increments. While we hope to see our exact design built somewhere in Miami, the main goal of Hi-Res Miami is to provoke discussion and inspire the local design and development community to seek alternative scales of investment, and to build variations on the theme. We look forward to Hi-Res Miami helping catalyze the city’s next vibrant urban neighborhoods. Hi-Res Miami will be presented to the Miami community at a Little Havana Merchants Association meeting on Nov. 19 at 6 p.m. at Mansini's Pizza House, 541 SW 12th Ave., Miami. The event is open to the public; RSVP to lhmamiami@gmail.com. For more Hi-Res Miami presentations, visit the project's website. 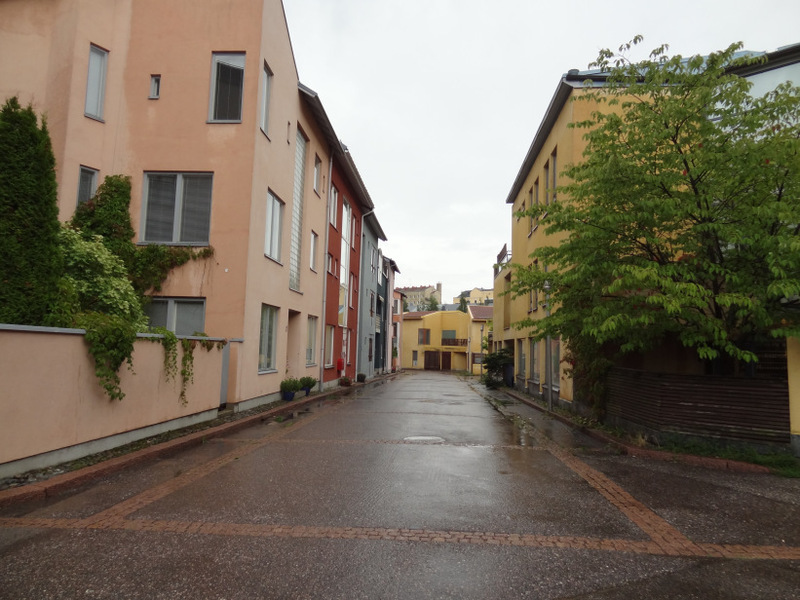 From Timo Hämäläinen via Tracy Gaton: "Back in 2012, I wrote about Helsinki’s interests towards introducing townhouses as a housing concept. Later on, we organized a seminar around the topic. To add some out-of-the-box thinking on the issue, we invited a speaker from Stockholm because structures referred to as 'townhouses' had also gained attention in the Swedish capital. At the end of my recent European Urban Cultures studies, I decided to compare what the fuss about townhouses is all about. It became the topic of my master’s thesis. You can find the full study here. "Townhouses have many qualities that support the needs of the modern urban individual. The basic structure of the building can be used in many ways to create a variety of dwelling types within the same block or even the same building. Furthermore, the vertical circulation of a single housing unit can relatively easily be split into multiple units to accommodate expected or unexpected changes in life. Similarly, it allows multiple generations to live under the same roof which is common in many cultures. Townhouses also create urban milieus, because they are predominantly connected directly to the street and support high population densities. The ground floor may easily be transformed into a commercial space or work space. "These ideas are also expressed in the materialization of townhouses. In Stockholm inner city townhouses are married to urban apartment-living even more clearly. The concept is built on rooftops, incorporated into the ground floors of apartment buildings, and introduced into refurbished old industrial buildings. In Helsinki, existing and the majority of planned townhouses have a suburban configuration. They are built in areas where cars are a near necessity. "One reason behind these very different conceptualizations of the townhouse is that in Helsinki they have emerged as public interventions whereas in Stockholm they are built largely independent of public policy. Townhouse development in Helsinki is additionally strongly linked to a desire to protest against the building and construction industry that is argued to produce monotonous buildings and one-size-fits-all apartments. Townhouses are coupled up with encouraging group building or even direct owner-control of the building process of a single townhouse slice." Full post here. From Stephen Kendall, loyal reader and founder of the Open Building movement: "Change is a constant, yet we often build static entities that resist change over time. The Open Building movement seeks to change that. "Join Tedd Benson, founder and chairman of Bensonwood and Unity Homes, and Stephen Kendall, emeritus professor of architecture at Ball State University –- both of whom are recognized as Open Building experts -– to learn more about Open Building. The goal of the movement is to change the way architects work to restore the natural dynamic relationship between people and the places in which they live. "Learn how separating structure, systems, and interiors may create dynamic buildings that are enabled to last hundreds of years, take a look at some of the technologies and building practices that are in place in open buildings, and explore the challenges that have prevented this concept from wide-spread adopting in North America." Webinar registration here. [vimeo http://vimeo.com/32467955] I wish I got more emails like this, from Brennan Real Estate: "ABOUT THE PROJECT: Strong Place is a ground-up development of 3 single-family townhomes on a vacant lot at the corner of Strong Place and Kane Street in the Cobble Hill Historic District, Brooklyn, NY. The 5 bedroom / 3.5 bath homes measure approximately 3,800 sq ft each. The land was acquired in November 2011 in an off-market deal. Construction is projected to be complete by May 2014. "UPDATE: As of late August, the basement slabs have been poured, steel-reinforced block shear walls are in place at the cellar level and the garden level framing is just about complete. 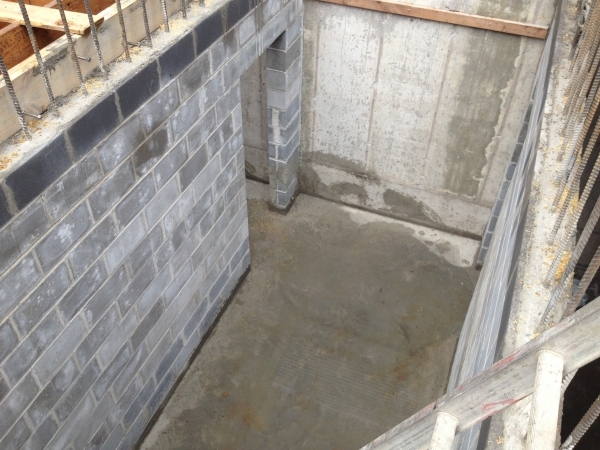 A couple of aspects that make this project different from both existing and new competitors - LVL floor joists and 9ft clear ceiling height at cellar level. Quality is in the details." Full post here. Townhouse Center's collaboration with FIU Architecture was recently published to great fanfare, and our collaboration with ISA will be published soon. In the meantime ISA -- famous for its townhouse prototype for Philly called the 100k House, which has been built in 3 separate locations -- designed a prototype for Chicago, which also got built: Flexhouse. Flexhouse is also proposed for a second location. From the sales website: "Flexhouse is a new type of home that is tuned to the 'new normal' of the twenty-first century. The houses are modest, efficient, urban, and cool — appealing to urban lifestyles that seek to make sustainable lifestyle choices. 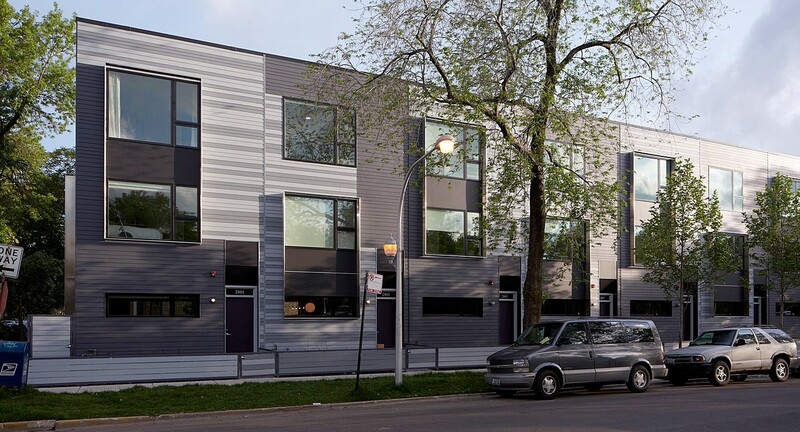 The Flexhouse model is the answer to what Ranquist Development has seen as an evolving market demand in Chicago with the ability to speak to new demographics and take root in vibrant, transitional neighborhoods." According to ISA founder and principal Brian Phillips, "Flexhouse provides affordable, contemporary living in an attached rowhouse format -- a novelty in the Windy City. The site is a short walk from the MTA Blue Line, encouraging a higher denity pattern. Stainless steel window wraps are used to develop a clear street rhythm among the eight attached homes. The idea of flexhouse is to provide an open, dynamic floor plan that invites user customization by minimizing walls and doors." Toronto townhouses sell fast, buyers "looking for sense of home without losing urban convenience"
From the Toronto Star: "One of the hottest emerging commodities on the Toronto real estate scene is the urban townhouse. The new breed of townhouse is sophisticated and stylish, featuring contemporary architecture. While the initial purchase cost might be more, townhouse maintenance tends to be significantly less than the fees for a highrise condo. These factors, when coupled with a key location close to transit and amenities, are resounding with purchasers. "Wallace Walk, a project of 116 townhouses, sold out in four days last fall. Seventy per cent of the 68 units in the Towns at Parkside Village have sold since launching in late July. In early August, the 50 homes at Park Towns Bayview & Sheppard — the first development in the city by Broccolini — were snapped up in a few hours. "'We thought the townhouse would be one of the hottest products because the supply’s not there but the demand is', says Michael Broccolini. 'Not everyone is suited for condo life or owning a single-family home and the next best option is a townhouse.' Still, the sellout shocked company principals, who were planning to build a sales centre in fall. "More affordable options can be found outside the downtown core, such as Minto’s Long Branch urban townhouse project coming in the fall. Amanda Walker, vice-president of sales and marketing for Minto, notes: 'There is an aggressive market of condo-savvy purchasers who are looking for something that provides a more intimate sense of house and home without losing the conveniences of urban living.'" Full article here. From the New Urbanism blog: "Redevelopment of neighborhoods lot-by-lot is indicative of a mature development market. The primary problem we have in 2013 is that most of us have no reference point for what a mature urban real estate market looks like. One hundred years ago it would be a completely ordinary day when a residential lot was subdivided so that two more homes could be built upon it. Ho-hum, that’s how cities grow and progress. "But for much of urban America, it’s been fifty years since these seemingly-unremarkable things have taken place. And so we have strange things that happen. Urban NIMBY’s fight new development even though they clamor for more neighborhood retail, more transit, and better city services. Zoning codes and city processes make it difficult to build what was ordinary. And architects and developers feel the need to reinvent the wheel. "I’d like to make the case for everyone to take a deep breath, and just embrace the building of unremarkable buildings. The building below in Kansas City replaced a shabby one-story building surrounded by parking. It won’t win any architectural awards, nor will it be highlighted in tourist bureau marketing. Yet it’s the kind of building I wish we were seeing by the dozens. It brings over 70 new apartments and some ground-floor retail to a busy corner. "Many of my architect friends will snicker at this building. But by and large it does what a good urban building is supposed to do, and it does it in a simple, unremarkable manner. "It’s telling also that some neighbors object to the size of the building. Again, this is revealing as to how little experience we have with redevelopment. Some say that it’s too tall compared to the neighboring buildings that are one and two story. Others object to the number of units. But honestly, our cities need density, much more of it, in order to thrive in the 21st century. Urban residents need to find ways to learn to love more people." From Auckland Transport Blog: "Brady Nixon, the Development Manager at Progressive Enterprises (yup, the supermarket biz) and the force behind the upcoming Vinegar Lane development has written a detailed response to the Draft Unitary Plan. The fully-illustrated PDF, 'Market Responsive Intensification', is available here. "The inspiration is an urban renewal project from the 1990s on some disused docks in Amsterdam, called Borneo-Sporenburg [photo above]. At Borneo-Sporenburg, there are some 2500 separately-owned four-story dwellings with a heady density of 100 units per hectare. The key to their appeal is variety of appearance with a consistency of massing. "Each of the row houses has a small footprint; therefore, the whole site offers a comparable density to apartment blocks but they can still be organised more like detached buildings with independent ownership rather than needing systems like Bodies Corporate to operate them. Furthermore, by subdividing valuable land into small lots, the cost barriers to entry come down, a way to involve ordinary people in development. "Which brings us to Auckland. Nixon argues that the market is more accustomed to ‘fee simple’ ownership structures than to more collective models such as renting or co-governing whole buildings. He has two other observations from local market condition. "One, we are a nation of small-scale builders; our building industry is structured around putting up one dwelling at a time, with a straightforward builder-client relationship with small amounts of capital . He claims that the proportion of single-dwelling construction compared to higher-volume builds is 80%. Therefore, how the city is to grow must be deliverable through this cottage industry. "So all is good then? Nixon and others can happily offer this typology to the market, and developments like this should be lapped up? Not so fast, there are a lot of road blocks in the way of this model in the DUP, most notably minimum lot size, but also setbacks, and of course those great place killers: minimum parking regulations." Full post here. 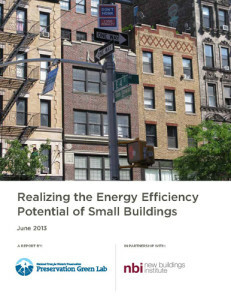 From the National Trust for Historic Preservation: "Realizing the Energy Efficiency Potential of Small Buildings summarizes two years of research into the opportunities and challenges of delivering energy-efficiency strategies to small buildings. The small buildings sector (made up of structures 50,000 square feet and under) contains 95 percent of all commercial buildings by number. This research is important for two reasons. "First, small buildings are the physical foundation of social and economic life in thousands of communities nationwide. Small buildings form the collective heritage of cities and towns, they are the drivers of economic development, and they are valuable assets that provide the basis for revitalization efforts in vulnerable communities. Smaller, older buildings typically house locally-owned small businesses that rely on affordable rents and unique, flexible workspaces. Similarly, small multi-family and mixed-use buildings are often the lifeblood of a city’s affordable housing stock. Neighborhoods and districts made up of these buildings are rich in history and offer people a common identity and sense of place. "Second, most communities desperately need the investments that are readily available through energy-efficiency improvements. We identify the potential savings in the small buildings sector as almost one-fifth of all national commercial building energy consumption. This means if small buildings and businesses took advantage of readily available energy-saving improvements, they would reduce the overall energy used by national commercial buildings by almost 20 percent. Regrettably, small buildings are regularly overlooked in the energy services market, due to the complexity of the building stock, limited resources of building owners and small businesses, and small profit margins available to service providers when buildings are addressed individually. From the report: "The survey was conducted by a team of university graduate students, student coordinators, and faculty in ten distinct climate regions: Seattle, Philadelphia, Lexington, Charlotte, Austin, Phoenix, Denver, Chicago, Miami, and New York City. 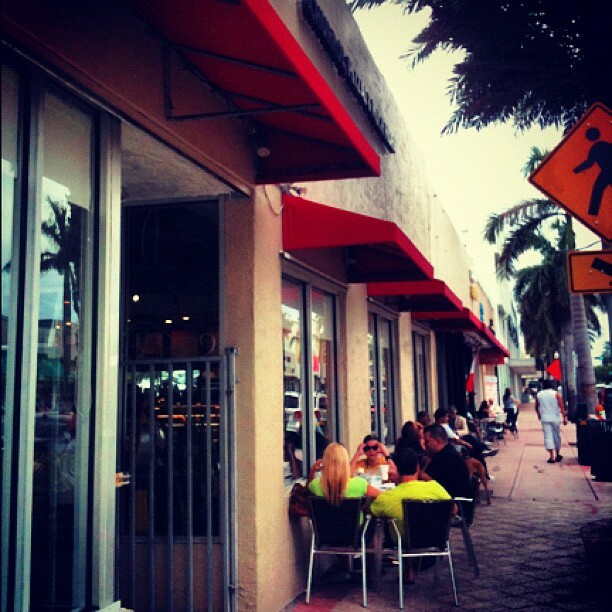 The Miami survey was conducted by Townhouse Center, an advocacy organization." Townhouse Center did oversee the Miami survey; but the City of Miami Planning Department dedicated staff to data compilation (the report gives special thanks to Luciana Gonzalez); property owners DACRA, Goldman, Barlington, and MBCDC gave data on their entire portfolios; and FIU students filled in the blanks. The real thanks goes to Jeana Wiser, Green Lab project coordinator, for helping Miami participate. Full post here and report here.